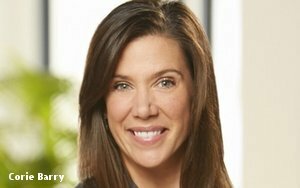 Best Buy’s Corie Barry is movin’ on up to become the Minneapolis-based retailer’s first-ever female CEO. She replaces chairman and CEO Hubert Joly, who moves into the new role of executive chairman. Barry, who also joins the company’s board, has been the electronics chain’s chief financial and strategic transformation partner. Joly, widely regarded by financial observers as the force behind Best Buy’s recent turnaround efforts, was named CEO back in 2012 after then-CEO Richard Schulze left the company after an internal audit found he covered up an “improper” relationship between prior CEO Brian Dunn and a young subordinate. In its most recent quarterly results, the company posted a 3% gain in comparable sales, with fourth quarter revenues topping $14.8 billion, while net earnings jumped to $735 million, from $364 million the year before. Domestic online revenue rose 9.3% to $2.96 billion. The company credits its ongoing tech support initiatives as part of its improved results.